This year the counseling center has teamed up with LIFE Counseling Center, a ministry of SNU’s Graduate Program, that works with the local community. The counseling center is one of many services that SNU is able to offer its students. 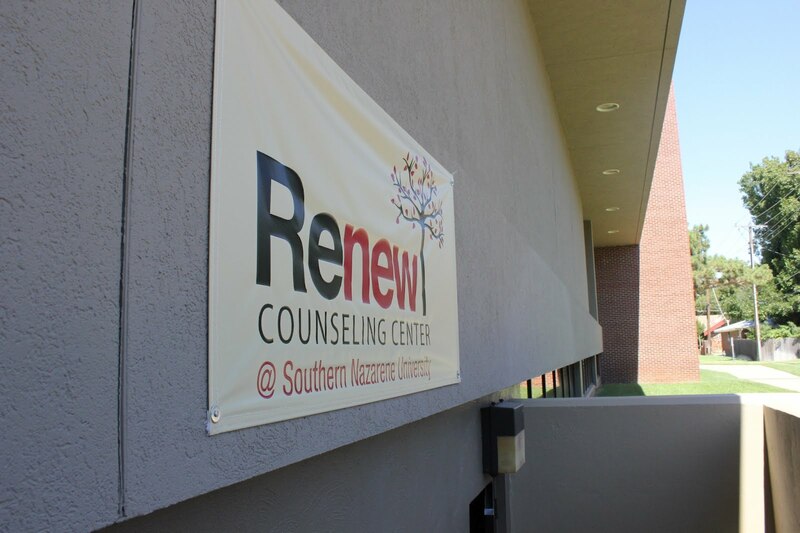 The restructured counseling center will now be called Renew. Through a year’s worth of planning, dreaming and discussion, the two centers decided to merge and expand their services. They will offer more hours, a greater variety of therapists and a training site for students in the SNU graduate counseling program. The counseling center will also be able to better reach more specific needs of patrons. The psychology department, SNU counseling center, LIFE and former VP for student development, Scott Strawn, were all a part of the dialogue and planning for the partnership. Sallye Siems will now be the new full-time dedicated administrative support. All calls and walk-ins will talk to her first. Joe Shallen is the new assistant director. His work at both LIFE and the SNU Counseling Center for over five years has been very beneficial in this transition. There have been small challenges, however. The daily processes of both centers have had to be refined as the groups had different systems and processes. “So far the benefits have seriously outweighed any challenges we have faced,” Campbell said. The new center can be found on the first floor of Webster Commons. The space there was being underutilized, but is now being used to its full capacity. The entrance is on the east side of the Commons building, across from the tennis courts. Future plans include a more permanent entrance with an awning, landscaping and lighting. Renew’s website (snu.edu/counseling-center) claim they address issues such as self-esteem, depression, relationship conflicts, family struggles, identity issues, grief, drug and/or alcohol use, anger, crisis, pregnancy-crisis, divorce and many more. When asked, many students will recommend the counseling center. It is not uncommon for students who feel overwhelmed, stressed out or put too much pressure on themselves to succeed to find a listening ear at the counseling center. Renew is open from 9 a.m. to 8 p.m., Monday through Thursday. Students can walk in and schedule appointments. Students can also call 717-6200 or go to my.snu.edu to schedule an appointment and fill out paperwork at any time. Students still get six sessions each year at no additional cost. Sessions seven through 12 are $5 and 12 or more are $10 each.